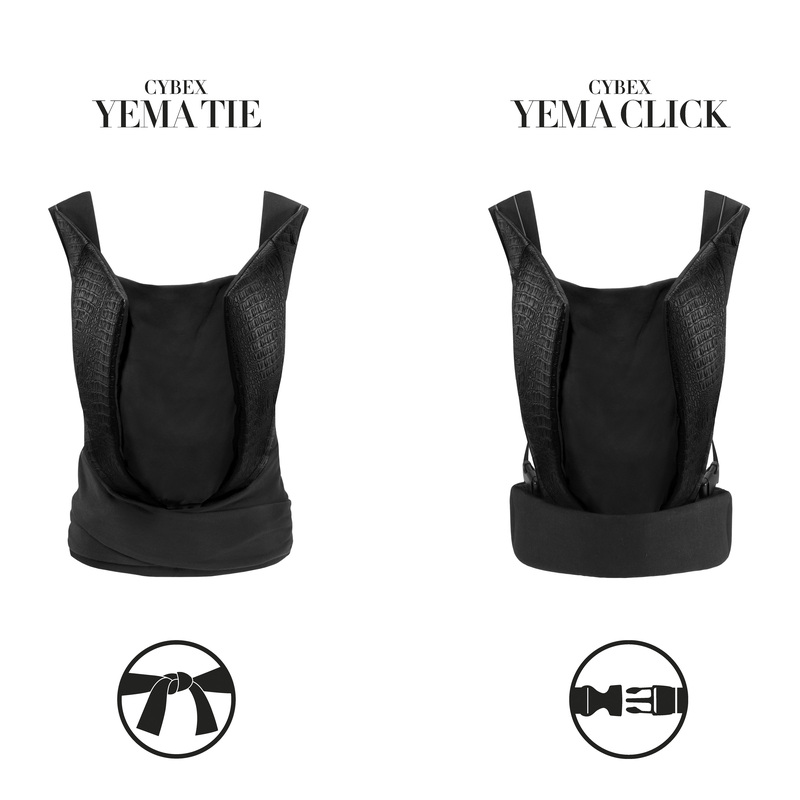 CYBEX ergonomical baby carrier YEMA - Carry on! 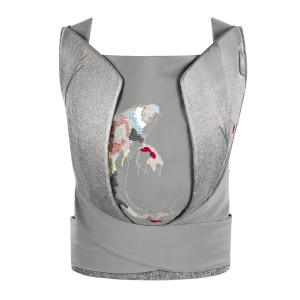 Inspired by the artistic drapery of international fashion designers, YEMA TIE and YEMA CLICK not only set new standards in functionality, but this carrier collection genuinely catches the eye while hidden functions focus attention on the design. In the first few months of an infant’s life, it is important to have as much physical contact as possible. Our baby carriers create the perfect connection between mother and child – encouraging a close bond and a deep sense of security. Lying against the chest, a baby can hear the mother’s heartbeat, which was so familiar in the womb. Skin contact, warmth, and scents leave infants feeling protected and safe. 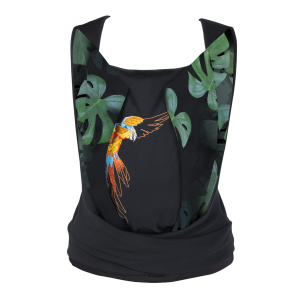 The YEMA TIE and YEMA CLICK: Products that not only promote healthy development but also makes a bold design statement. Babies love to be carried. 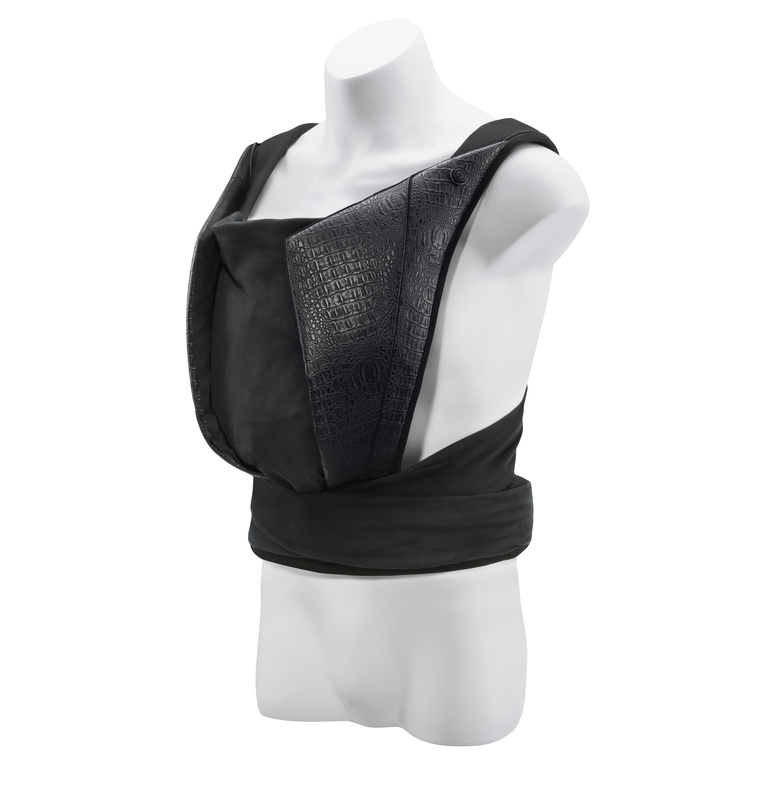 A baby carrier offers the baby close physicalcontact with mum or dad and satisfies the basic need for securityand closeness while promoting self-assuredness and independence.Correct carrying in a baby carrier promotes the optimal postureand supports the healthy physical development of the baby. Promote the healthy developmentof the back and hip joints! After nine months in the mom´s womb, babies are born with alightly curved spine. 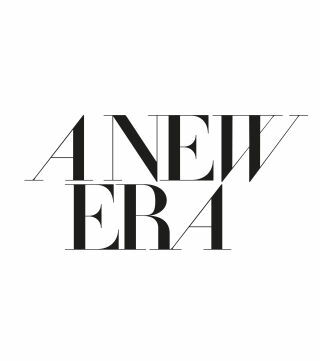 After birth, the spine straightens: a slow andcautious process, which takes over a year. Right after birth, babiestake up the spread-squat position, which promotes the continuedhealthy development of the hip joints. 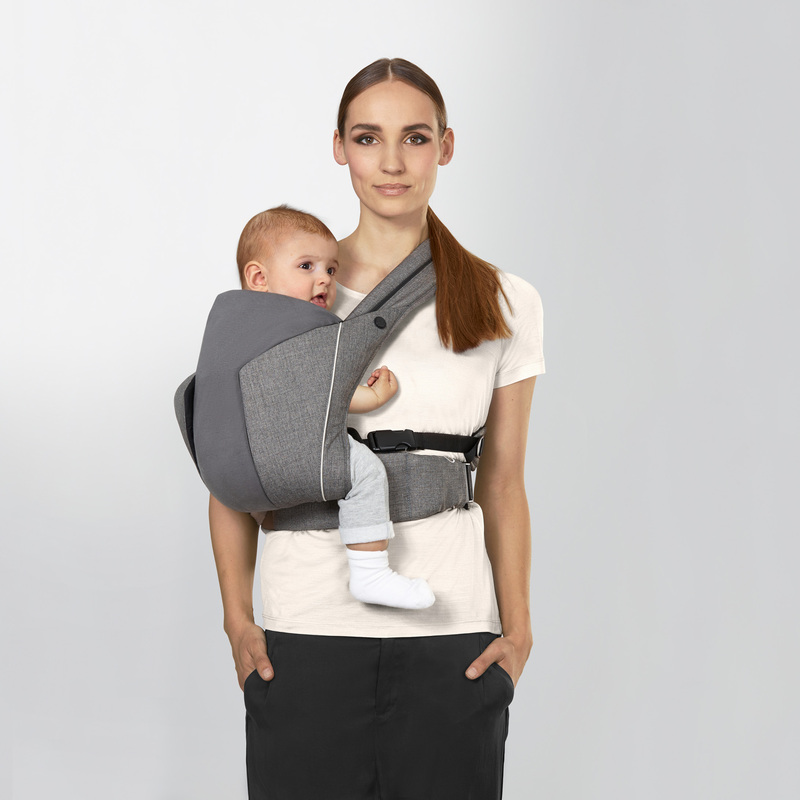 Carrying your baby in acarrier promotes the maturing of the hip joints in a natural way. Carrying stimulates all physiological senses,such as perception of the body through balance, gravity, physical boundaries, internal organs, positions of the joints and movement.Also the very important perception of theenvironment through senses, such as senseof hearing, tasting, smelling, touch andseeing, are being developed. Last but not least ‒ carrying strengthensthe important parent-child-bonding andcontinuously satisfies the emotional needsof the baby through closeness, warmth and a feeling of security. This leads to babies who cry less and sleep better. 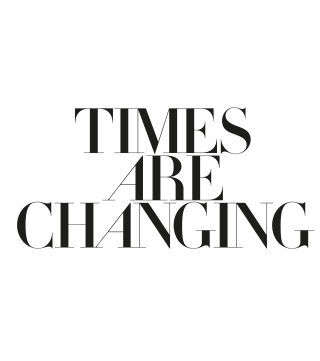 At the same time, the baby carrier offers parents more flexibility, mobility and free hands for everyday tasks while being close to their precious baby. 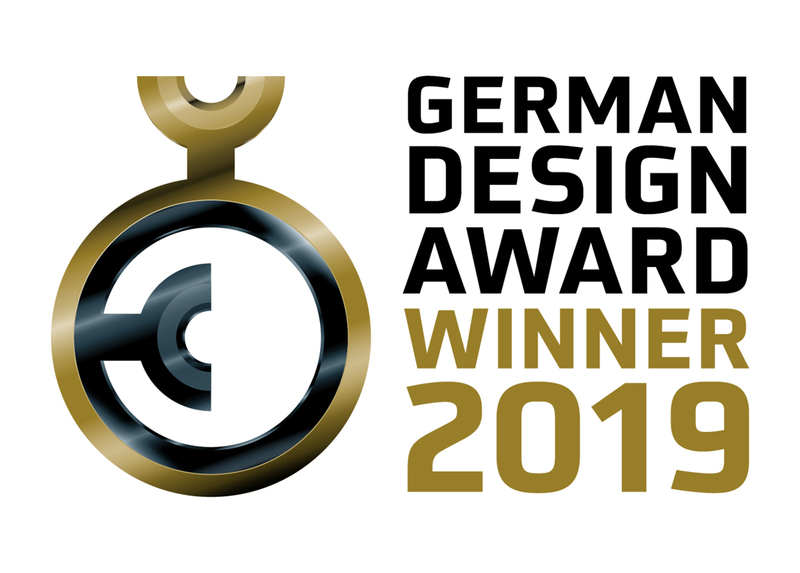 Since early 2017, CYBEX has been working together with the Trageschule Hamburg, a wellknown carrying consultancy, which advises us, tests our products and trains our employees. 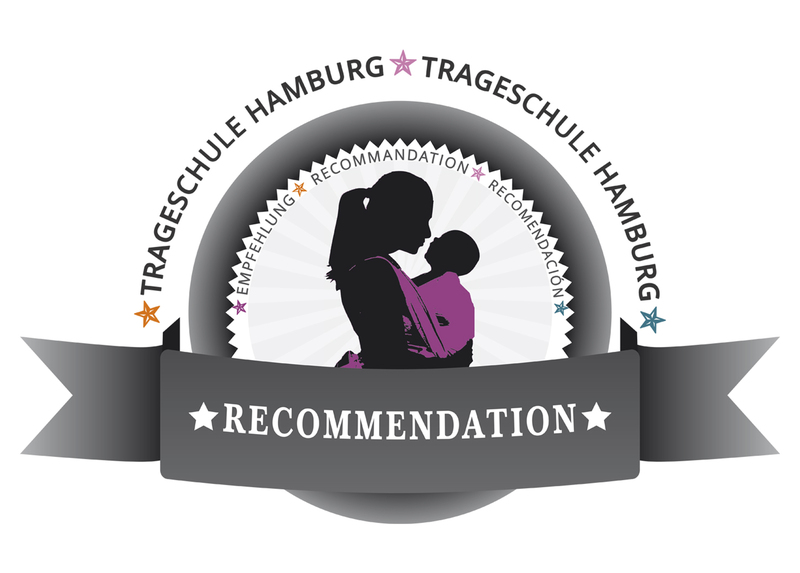 The IHDI (International Hip Dysplasia Institute) recommends babywearing for healthy hip development as long as the correct carrying position (spread-squat position) is guaranteed. 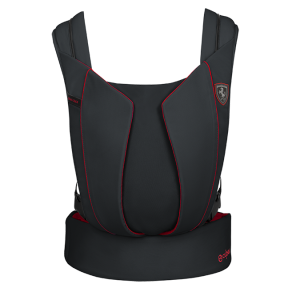 CYBEX baby carriers allow for healthy carrying positions, they were certified as ‘hip healthy’ by the IHDI. Babies can be carried facing the chest from birth. The baby carrier encourages the correct posture in the spread-squat position, which can help the hip joints to develop correctly. 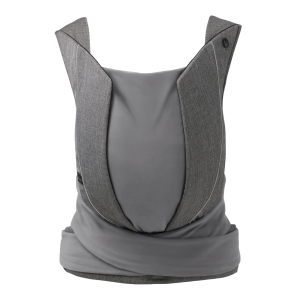 Babies with good head and bottom control (from around 6 months) can be carried in the YEMA TIE on your back, making it easy for parents to bear the baby's weight. Babies with good head and bottom control (from around 6 months) can be carried in the YEMA CLICK on your back, making it easy for parents to bear the baby's weight. Babies that can hold their own head (from around 3-4months) can also be carried in the side position. This allows them to rest against mum’s shoulder while taking in their surroundings. Babies that can hold their own head (from around 3-4 months) can also be carried in the side position. This allows them to rest against mum’s shoulder while taking in their surroundings. 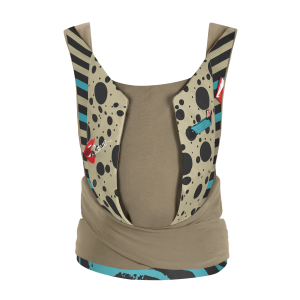 The baby carrier YEMA TIE is available in gorgeous colours and materials. Choose your style! 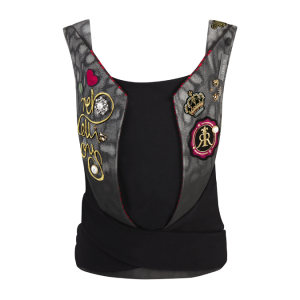 The baby carrier YEMA CLICK is available in gorgeous colours and materials. Choose your style! What type of third-party verification and certification does the YEMA baby carrier have? CYBEX consulted with a number of experts during the development of YEMA to ensure its optimal design for the health of the child. We collaborated with certified baby wearers as well as prototype tested the design with several volunteers and trainees. 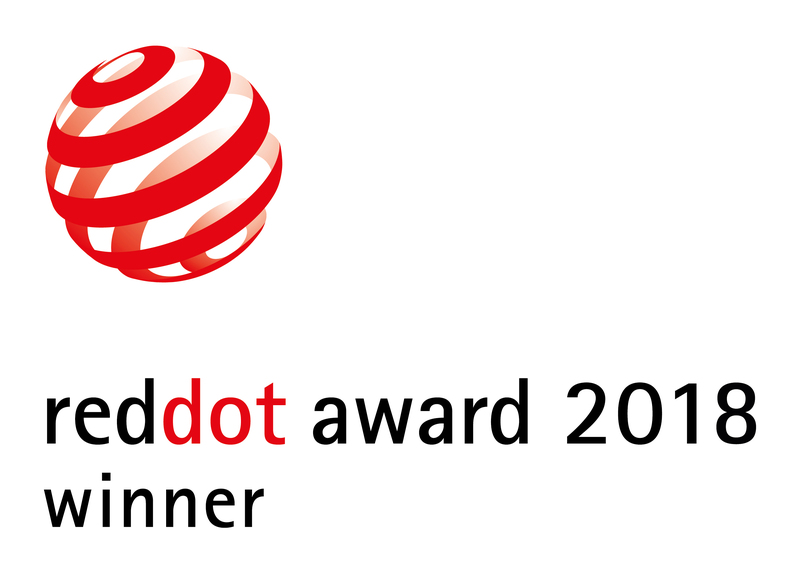 Additionally, a physiotherapist in Bayreuth, Germany has independently reported on the YEMA. 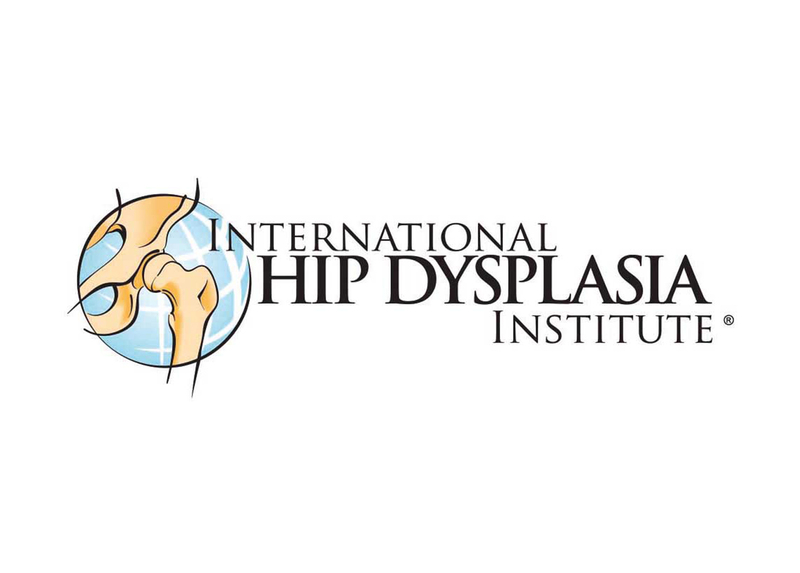 We are currently working with the International Hip Dysplasia Institute for certification. How wide must the seat panel be? The seat panel width should reach from the back of the knee to the back of the knee when the baby is in the correct spread-squat position. Babies tend to adopt this position automatically when lying on their back, so you can measure the distance and then adjust the panel. One rule of thumb is that the panel width is approximately half the height of your baby. The headrest is stored between the cotton liner layer and the outer jersey-fabric layer. It easily pulls out from the top. For what ages is the carrier suitable? 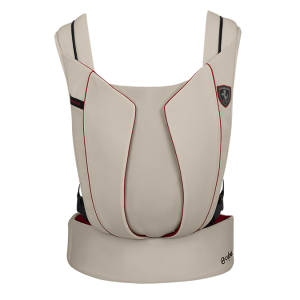 The product can be used in the front-carrying position from birth (3.5 kg or 7 lb, 11 oz). The side-carrying position can be used when a baby can hold its own head up (from around 3 months old). 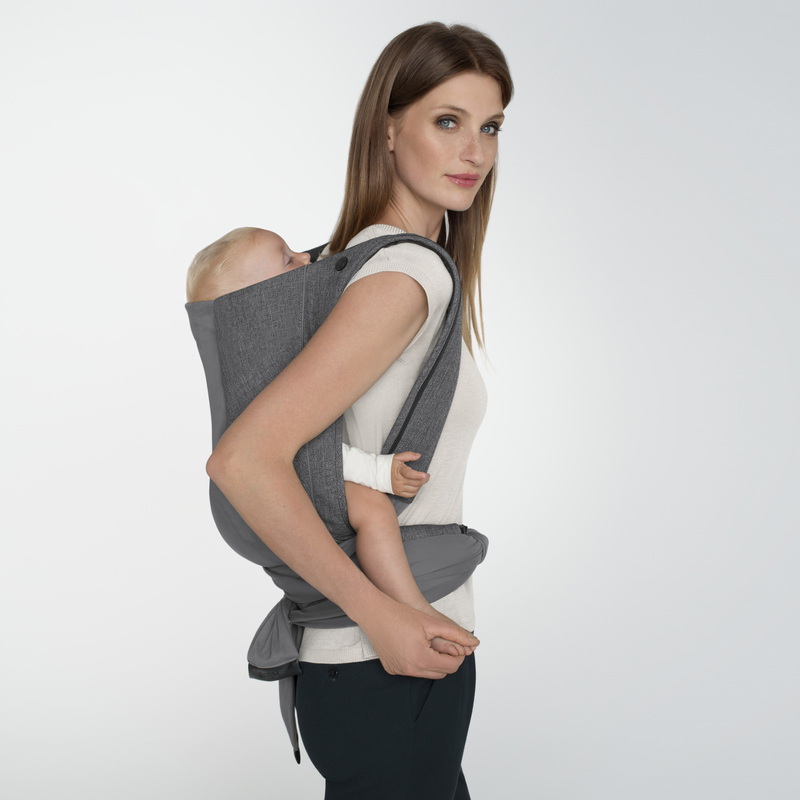 Back carrying is an option for babies with good head and bottom control (from around 6 months). Note that in all three positions, the carrier is designed only for inward facing, or toward the mother, not outward facing. 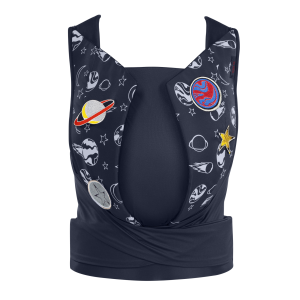 This is for two reasons: this guarantees that the wearer can easily make use of the carrier’s functionality, and the position is the most ergonomically healthy for the child. From what age can I use the front carry position? 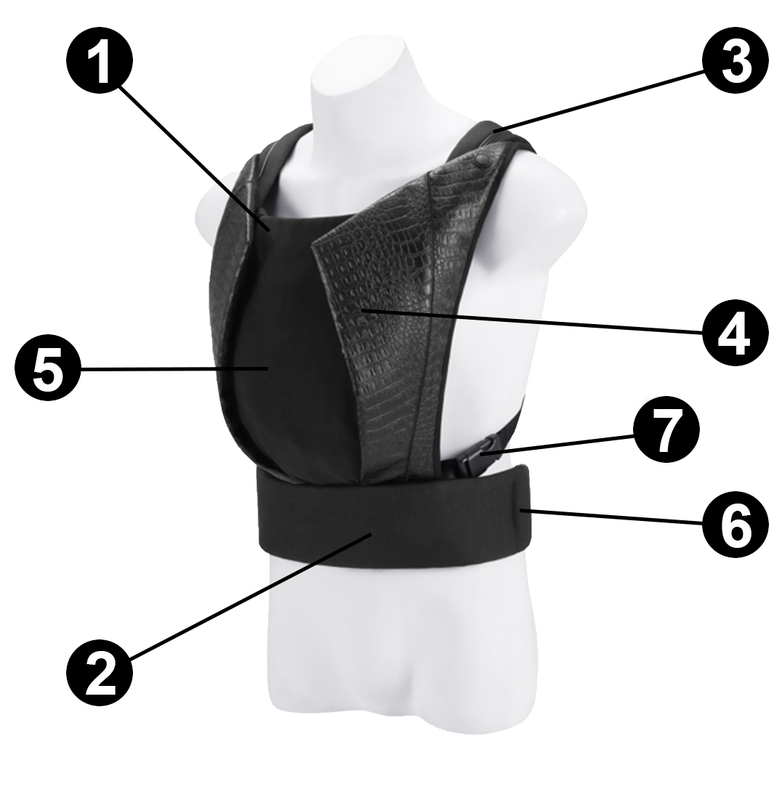 The front carry position can be used from birth (3.5 kg, or 7 lb, 11 oz). The carrier is designed only for inward-facing carrying for two reasons: it’s the most ergonomically healthy for the child, and it’s the easiest way for the wearer to benefit from the carrier’s advanced functionality. From what age can I use the side carry position? The side carrying position can be used when a baby can hold its own head up (from around 3 months old). 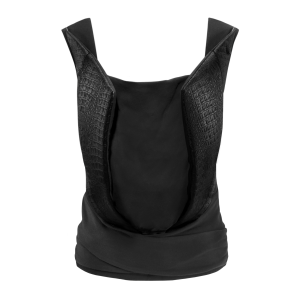 The carrier is designed only for inward-facing carrying for two reasons: it’s the most ergonomically healthy for the child, and it’s the easiest way for the wearer to benefit from the carrier’s advanced functionality. 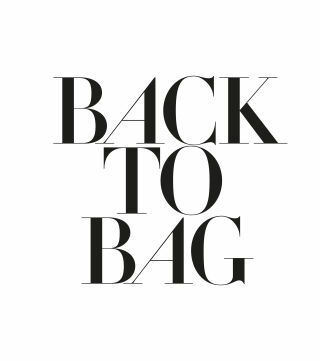 From what age can I use the back carry position? 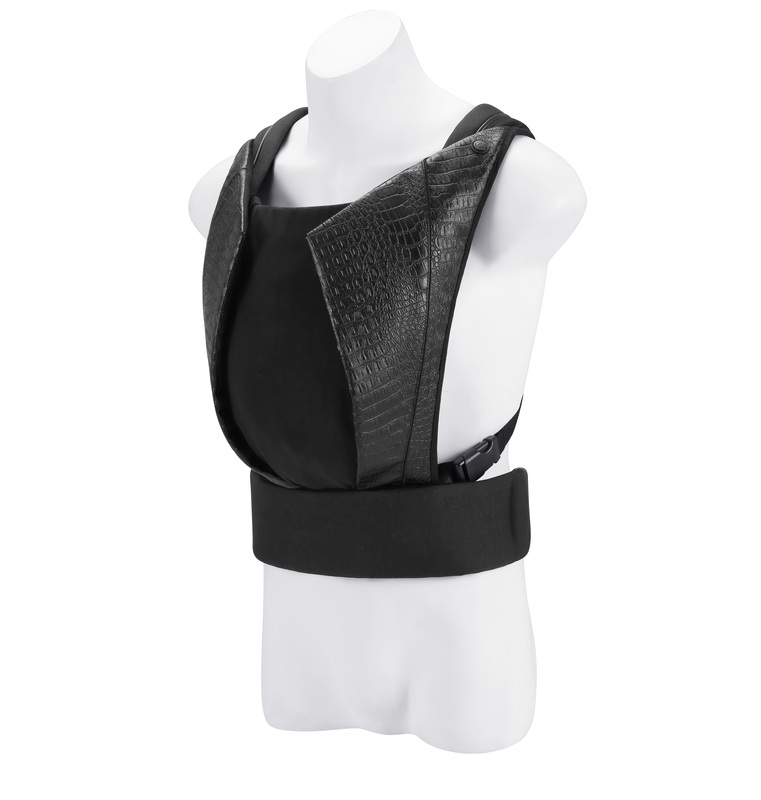 The back carry position is suitable for babies with good head and bottom control—generally from 6 months onward. 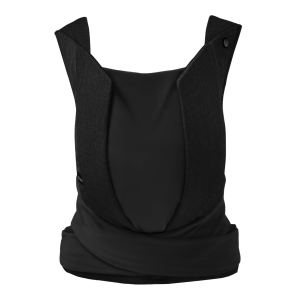 The carrier is designed only for inward-facing carrying for two reasons: it’s the most ergonomically healthy for the child, and it’s the easiest way for the wearer to benefit from the carrier’s advanced functionality. Can I carry my child facing outwards? 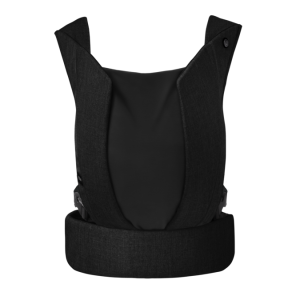 The carrier was not designed for outward-facing because the position is not as ergonomically sound for the baby as the more natural inward-facing position.